We are getting so close to the due date of our little one, so just last week the time had finally come for us to go on our Babymoon! 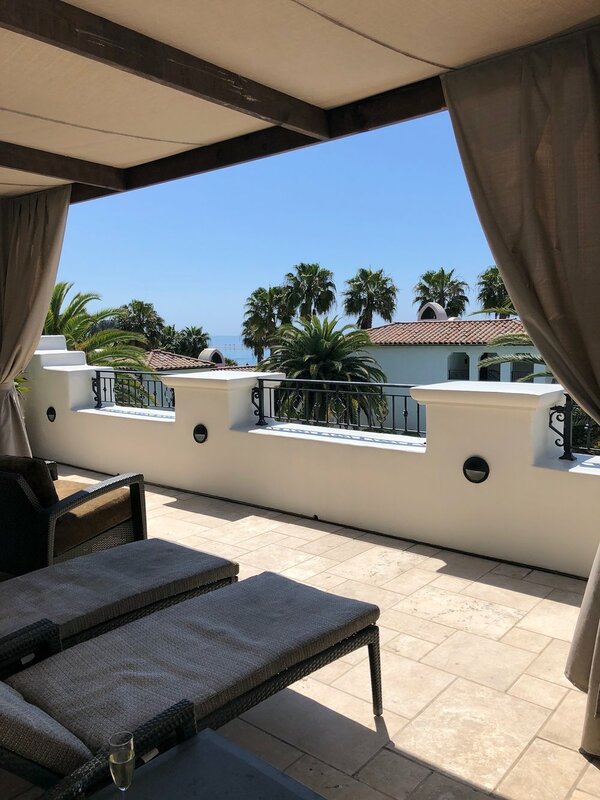 The Ritz-Carlton Bacara in Santa Barbara treated us to the sweetest little weekend to celebrate our little girl’s upcoming arrival. Our stay was so dreamy and everything I had hoped our Babymoon would be. The resort is so relaxing and accommodating. Everything we needed to have the most perfect stay was right at our fingertips. The resort is nestled on gorgeous waterfront property so everywhere we went in the resort was beautiful and had amazing views. The rooms were so comfortable! We had coziest bed, a fireplace and a huge soaking tub to relax in at the end of the day. 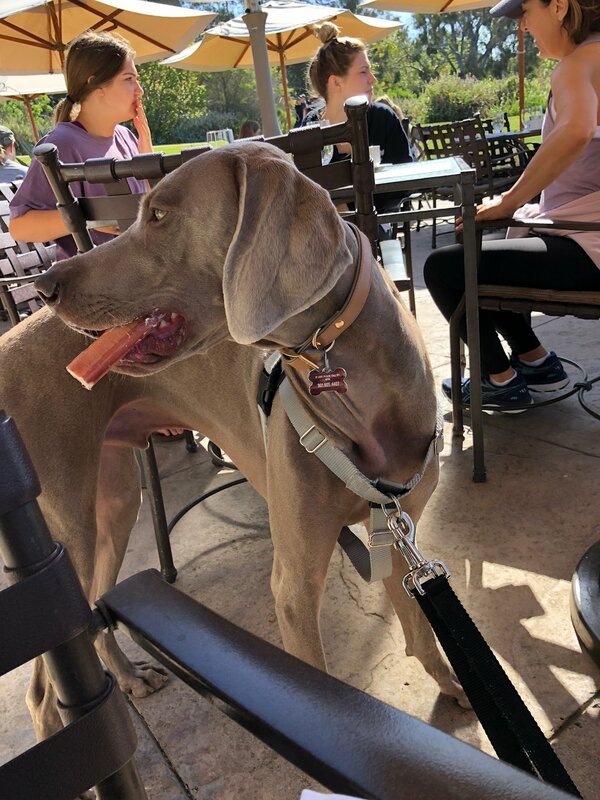 The best part about the resort is that it is dog friendly, so our first little baby Hemingway could tag along. This was our last trip as a family of three, so crazy! 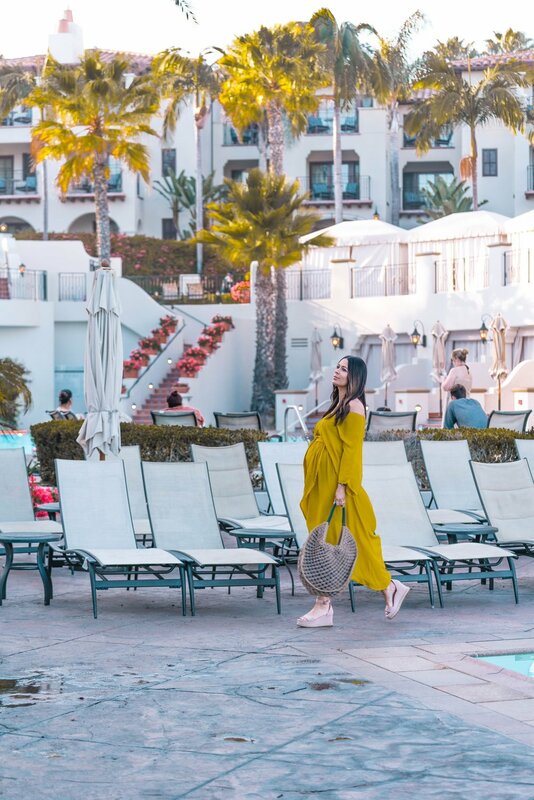 There was so much to do at The Ritz-Carlton Bacara, there was never a dull moment. We were either relaxing in our cozy rooms, relaxing oceanside, or adventuring out in sunny Santa Barbara. The resort features two amazing on-site restaurants as well as the best spa program. Angel Oak is the resort’s premier steakhouse offering a 12,000-bottle wine cellar and the most incredible ocean views. This was definitely our favorite dining spot for the weekend. I can’t remember the last time I felt so content at a restaurant. The environment was so relaxing and the food was to die for. The Bistro was another favorite spot of ours. They had a great menu featuring fresh and local produce. We came here for breakfast on a couple occasions and each time I enjoyed so much fresh, yummy fruit. 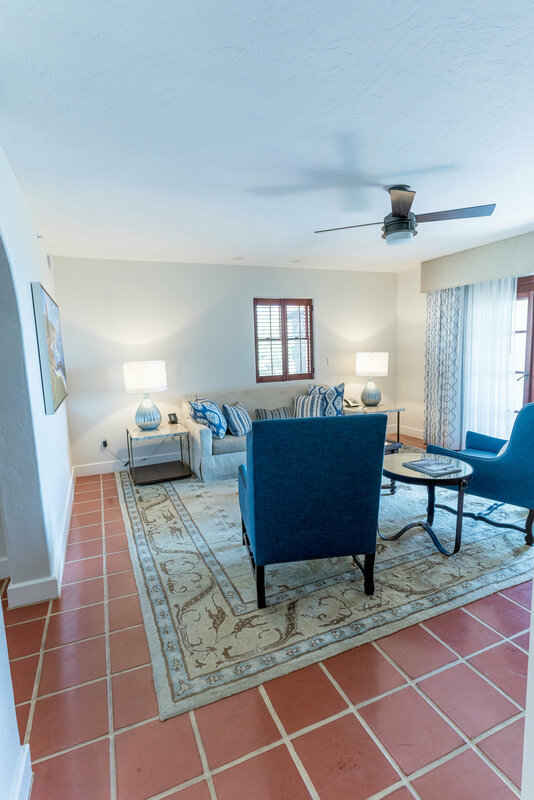 The environment is also spectacular with an oceanfront terrace and gorgeous fireplace. 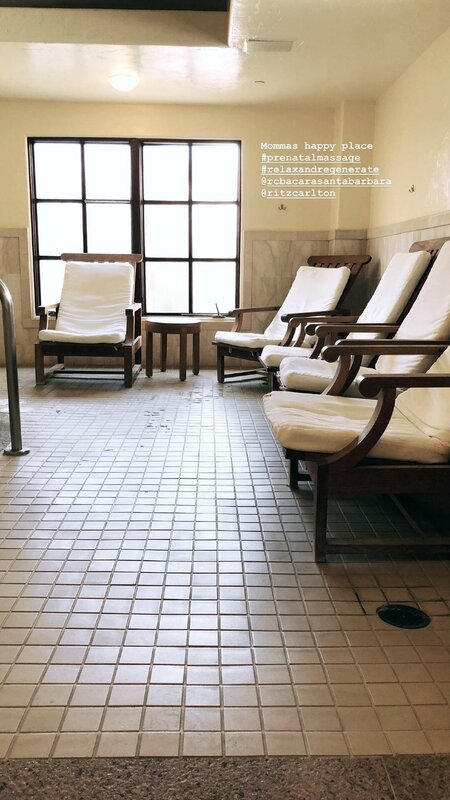 I also got to enjoy the best spa experience I have had in a long time. 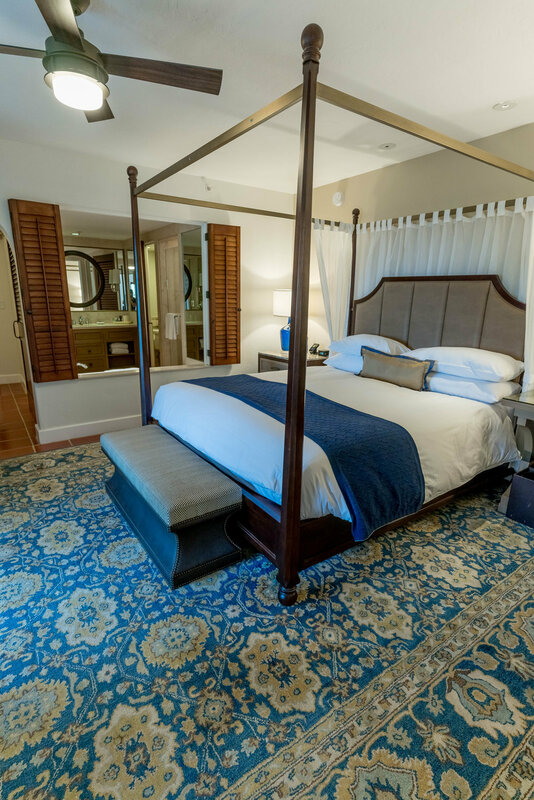 The Ritz-Carlton Bacara recently launched a new ‘Restore and Regenerate’ program. The program includes restorative-focused offerings designed to promote rejuvenation and self-renewal, such as bespoke spa treatments and an overnight package designed to encourage relaxation. I felt so amazing after my pampering session here, I can’t wait to come back. Something that I think is extra special is that a portion of proceeds from each booking at the spa supports first responders through the resort’s local partner, Direct Relief. We’re already missing our little vacation here so much, we will definitely be back. Click here if you guys are ready to plan your next getaway. My stay was hosted by The Ritz-Carlton Bacara, all thoughts and opinions are my own.